Here’s a little something from the “too cool” department. 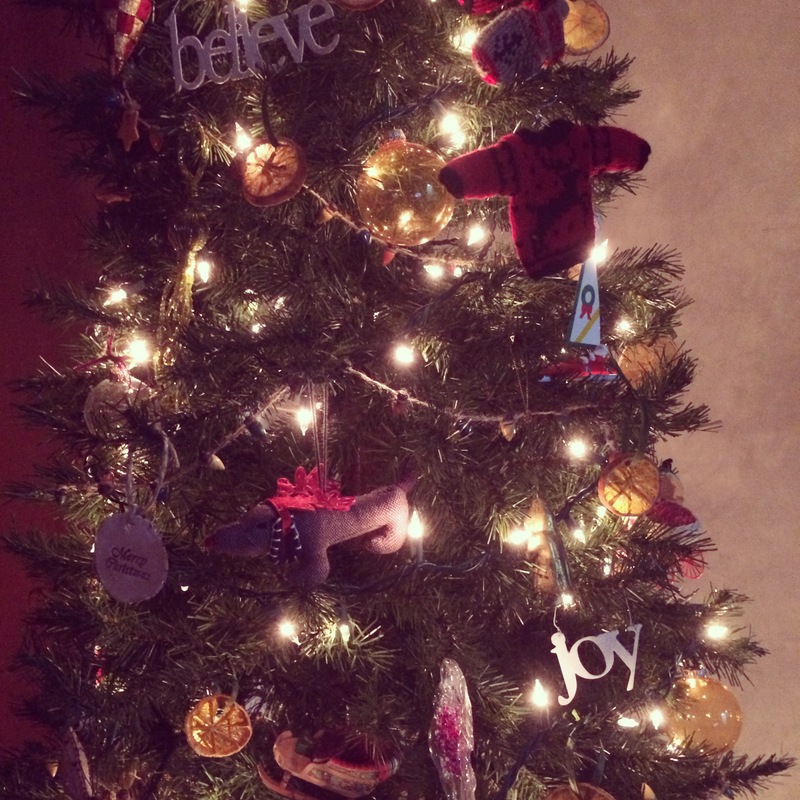 A creative take on homemade ornaments. 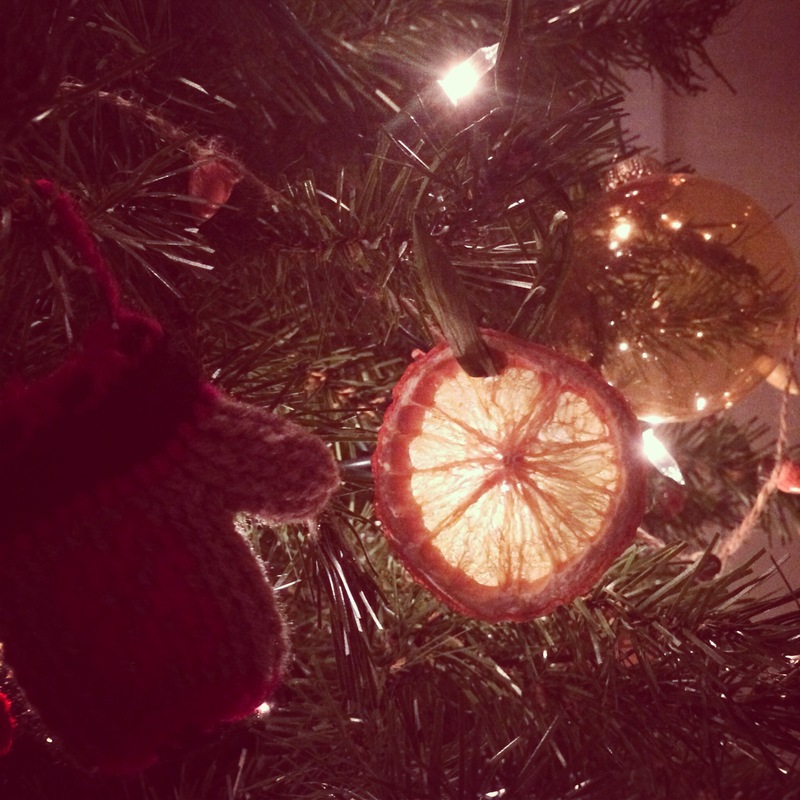 These citrus ornaments will make your Christmas tree sparkle. Aren’t they stunning? 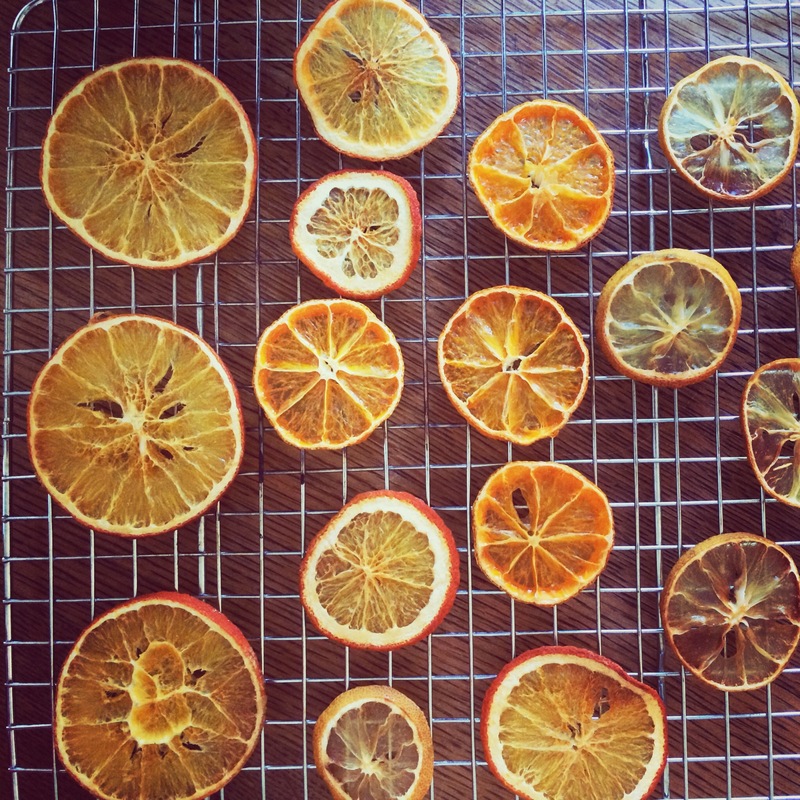 The clementines were my favorites, developing a deep orange color as they dried out. They look like stained glass when the lights shine through them. Absolutely beautiful! My plan for the rest of the week is to cozy up by my sparkling tree, drink tea (or vino, depending on the hour of the day), watch Christmas movies, and stay warm! I hope you do the same. 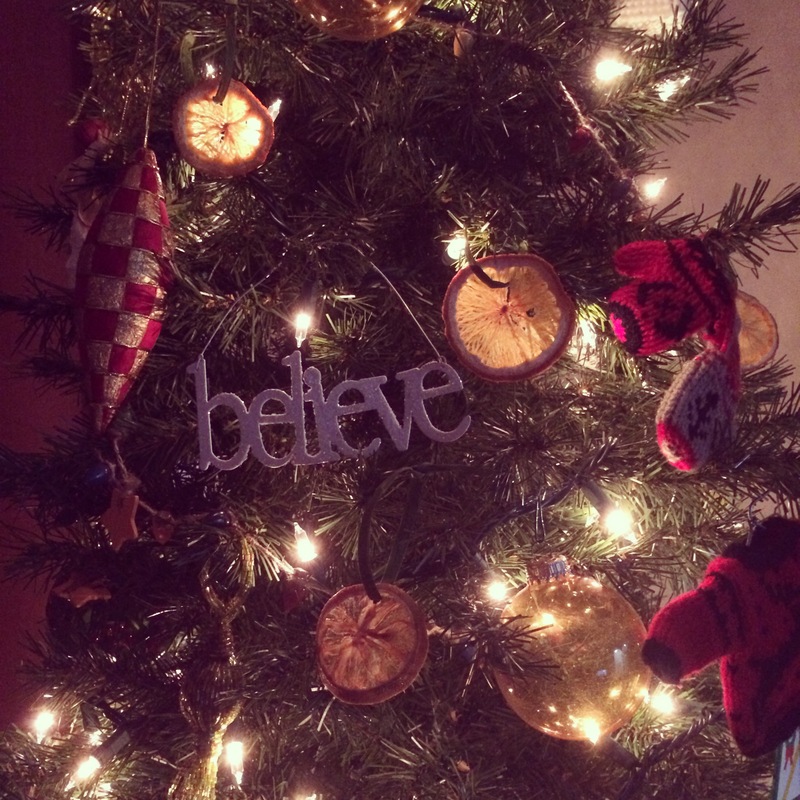 Follow the simple instructions below to add a bit of sparkle to your tree. I don’t think I will let another holiday go by without making these gems. Cheers! Pre heat oven to 200 degrees F and line 2 baking sheets with parchment paper. Place on a cooling rack for 24 hours. Poke a small whole into the top of the ornament, tie on the rafia (or your choice of ribbon) to make a hoop. Hang on tree.